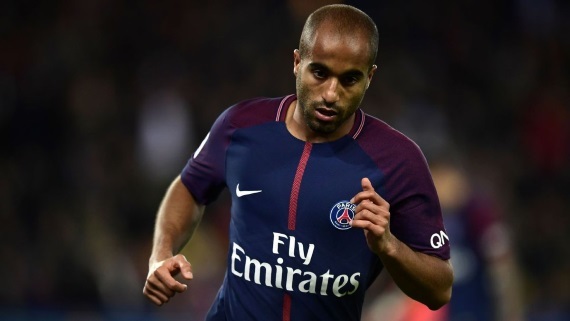 Paris Saint-Germain manager Unai Emery has revealed that he advised winger Lucas Moura to look for a new club because he is unlikely to feature in the first team. The Brazilian has made only five Ligue 1 appearances for the Parisians this campaign, for a meager total of 71 minutes, and this week admitted that he is frustrated by his lack of opportunities. The 25-year-old has been linked with numerous clubs, including Tottenham, Arsenal, Napoli, and Chinese club Shandong Luneng Taishan, and Emery has encouraged Moura to seek a new club. “I spoke with Lucas. With all respect towards him, but I think that he has no other options here and should look for another club, because he’s a great player,” he is quoted as saying in Marca. Moura has been at PSG since 2013, when he left Sao Paulo, and has made 229 appearances for the French outfit since, scoring 46 goals and providing 50 assists.